A captivating parable and timeless tale of love, passion, violence, and humor in the spirit of 1001 Nights and Aladdin-but one that blasts the conventional clichés to bits! An amazing graphic work, mixing great character design and storyboard-inspired action with an exciting color palette. "Allow me to tickle your fancies with my tale, a tale woven from the threads of a hundred other tales...." These are the first words of the masked storyteller who relates the epic story of the young lovers, daring Irvi and beautiful Sian, who are separated by fate... of Cobra, the soldier who becomes emperor by the path of blood, rage, and magic... and Maluuk, the dwarf actor who plans a revolution. 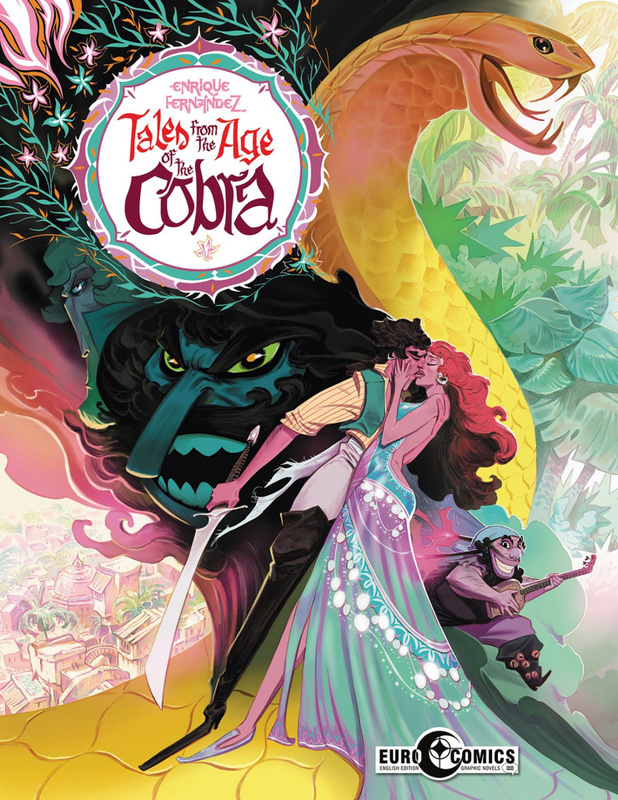 Artist Enrique Fernández paints a colorful and magical universe populated by glamorous and fascinating characters in this original graphic novel.